Interest in the “keto diet” or ketogenic diet has surged in the recent years. The keto diet is a very low carbohydrate, lower protein and high fat diet. It has gained the attention of those with type 2 diabetes, obesity, and other disorders. Immediate results appear promising, but considerable controversy exists around its benefits especially with long-term sustainability and health effects. Food, diets, and health concerns are highly emotionally charged topics. If you are thinking about the keto diet or are on it, especially long-term, it needs to be appropriately monitored and viewed with an eyes wide-open perspective. The ketogenic or “keto diet” was first introduced in medicine almost a century ago to help children with severe treatment-resistant seizure disorders. It is still an accepted medical treatment form today often when other treatments fail. The keto diet has also been tried with other neurological disorders like ALS/Lou Gehrig’s disease, traumatic brain injury and stroke. This type of effect has led researchers and clinicians to expand the study and use of the keto diet into other disorders. Other areas of interest include weight loss, diabetes, metabolic syndrome, Alzheimer’s and Parkinson’s disease, cancer, and sports performance enhancement. The classical ketogenic diet consists of very low carbohydrate intake of less than 30 grams per day, very high fat, and low protein intake. Common dietary ratios are 10-15% blend of carbs and proteins and 80-90% fat. Other less-demanding versions of the keto diet include the MCT/Medium Chain Triglyceride-Based Diet and Modified Atkins Diet. These diets have slightly less fat intake and increased carb and protein intake and may not truly put a person into ketosis. Today’s more common “keto diet” making waves consists of 75 percent of calories coming from fat (oils and fattier cuts of meat), 5 percent from carbohydrates, and 20 percent from proteins. In non-ketogenic traditional diets, the breakdown of carbohydrates, fats, and proteins is 55%, 30%, and 15% respectively. A simplistic explanation of the ketogenic diet is that one severely reduces carbohydrate intake, markedly increases fat consumption, and has little to some protein. Reduction of dietary carbohydrates depletes glucose reserves in the body over a few days. Once the body has reached point of glucose deprivation, the liver burns fat and produces ketone bodies as an alternative energy source for all tissues. Results of the keto diet look exciting and enticing from various studies, clinicians’ reports, and even personal testimonies when using this diet outside of its traditional use. The keto diet can make a person lose weight quickly and improve insulin resistance. However, is the diet sustainable and healthy for the long-term? Much remains controversial. It will take time for science to fully evaluate its effects on whether the extreme high fat diet, very low carb and protein is helpful or detrimental long-term and what patient population it benefits. In the nearly 100 years since this diet has been used for seizure control, there are however some things that have been uncovered and should be understood prior to acting on the enticement. One of the current hopeful applications for the keto diet is treatment for Alzheimer’s and Parkinson’s disease. The journal Nutrients January 2019 explored pros and cons of the diet in these neurodegenerative disorders. While considerable beneficial effects were noted, several adverse effects and risks were pointed out in this context and as a whole for any individual. Here are some things to think about. Long-term adherence to the diet is very difficult due to taste, poor tolerance, or difficulty managing choices. Side effects experienced include nausea, vomiting, constipation, and impaired appetite. Other concerns relate with chronic malnutrition, dehydration, hepatitis/liver inflammation, pancreatitis/inflammation of the pancreas, hypoglycemia/low blood sugar, elevated triglycerides, elevated uric acid which increases the risk for gout and atherosclerosis, elevated cholesterol, elevated liver enzymes seen with non-alcoholic fatty liver disease/NAFLD, low magnesium and low sodium levels, and abnormal changes in tissue pH or metabolic acidosis. Other side effects may include diarrhea, protein deficiency and loss of muscle mass, cardiac arrhythmias, bone fractures, other kidney disorders/renal tubular acidosis, easy bruising, lowered white blood cell counts, and increased susceptibility to infection. Additional effects that occur with long-term use of the ketogenic diet includes loss of bone density, kidney stones, heart failure or cardiomyopathy, impaired liver function, optic nerve (eye) neuropathy, anemia, and worsening of atherosclerosis. Systemic glucose intolerance, other liver stress, cellular injury, and abnormal build-up of fat inside of cells has been seen in animals fed a very low carbohydrate, low protein, ketogenic diet. High fat diets affect the gut microbiome on numerous levels with changes in the normal flora diversity and ratios, short chain fatty acids imbalances, and gut lining integrity. In particular, high fat diets have been shown to increase LPS (lipopolysaccharides) in the blood stream. LPS is a toxic by-product from gut bacteria that increases inflammation and intestinal permeability and enters circulation. This creates toxic stress throughout the body. High fat diets can adversely change immune system function and regulation in the gut. In addition, adverse changes in different parts of the brain have been identified. A comprehensive study on long-term ketogenic diet effects for seizure disorders found unusual basal ganglia changes which led to dysfunction in gait and balance difficulties. The basal ganglia is a vital structure in the brain that helps start and control movement. Other research shows biochemical and nutritional changes in the hippocampus of the brain in animals fed a ketogenic diet. The hippocampus, located deep within the brain is the control center for emotion, memory, and the autonomic nervous system. Rats fed the ketogenic diet developed “anomalies in potassium, phosphorus, zinc, and calcium levels within the hippocampus” which raised concerns about long-term unknowns. Animal and human studies don’t always correlate with the same findings, but this certainly raises a red flag. Other studies point out that a high saturated fat diet has been to found positively increase the risk of dementia and Alzheimer’s disease. There are some medical conditions that are absolutely contraindicated with ketogenic diets. These may related to carnitine deficiency and enzymes dependent upon carnitine, defects in other enzymes that are required to process and burn fats, and porphyria. The use of propofol is also contraindicated in a ketogenic diet. Propofol is a type of anesthetic and sedative used for medical procedures and critically ill patients. 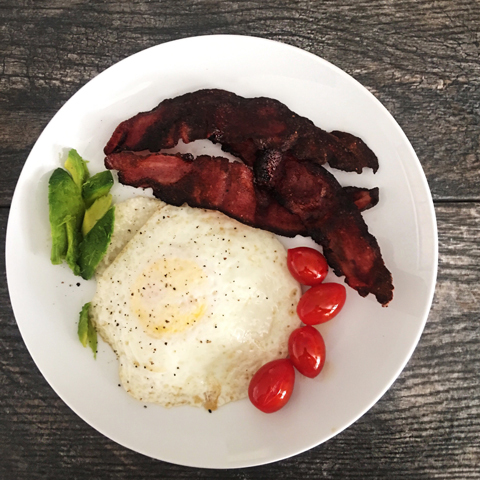 What’s the Nutritional Impact of the Keto Diet? If we step back and look at the things from a critical thinking perspective simply from a single nutrient deficiency, it becomes apparent that things become skewed rather quickly. Zinc was mentioned above as one of the minerals commonly depleted and led to an anomaly within the hippocampus due to this diet. Zinc is needed for cognitive and memory skills and is involved with neurotransmitter formation. Zinc is needed for the brain’s glymphatic system, the neuro-immune clean-up system in the brain. Zinc helps support BNDF (nerve repair), neuroplasticity, and acts as an antioxidant in the brain. Zinc is needed by over 300 different enzymatic processes in the body, and plays a role in thyroid, adrenals, gene stability, telomere length, growth and development, blood sugar, and immune system. If the ketogenic diet affects one mineral like this, what about other nutrients? Calcium, magnesium, potassium, copper, B vitamins, fiber, and many other nutrients are likely to become out of balance and insufficient with long-term use of the ketogenic diet. If someone is nutritionally deficient to begin with and then starts on a ketogenic diet, more nutritional duress will occur sooner. My goal here is to help you understand concerns related to a high fat/ketogenic diet and what is already known about the consequences that may not be readily talked about. I don’t doubt that there are certain benefits with the ketogenic diet in weight loss, cancer, diabetes, and neurodegenerative disorders, but the ketogenic diet also brings serious nutritional and other significant health challenges to the body. Before you decide to embark on a ketogenic diet, it is imperative to understand that there are risks with this diet. Anyone who is going to use this type of diet as a lifestyle, short or long-term must be under appropriate medical care or other health care professional support for proper management with suitable nutritional replenishment and ongoing lab work. So, what’s the best way to eat for health? Common sense and sound principles apply here. Focus on fundamental principles. Clean foods. Avoid the junk. Avoid GMOs and heavily processed foods. Eat a variety of foods in moderation with protein like eggs, grass-fed meat, cottage cheese, legumes and other complex carbs, organic fruits and vegetables, and a variety of different oils. Follow appropriate meal timing with the Leptin Diet and the chronobiology of body clocks. Following the Five Rules of the Leptin Diet allows your body time to metabolically burn through the glucose and then naturally enter into a fat burning mode. The body burns through glucose in the first 3 hours after a meal, and then the liver goes into a fat burning mode in the next 3 hours or more until the next meal. If you follow the traditional breakfast, lunch, and dinner meal times without snacking, your body will naturally go thru this ebb and flow. The Leptin Diet encourages the use of foods and lifestyle that is sustainable. Three meals per day. No snacking. Adequate protein, some good fats, and moderate to lower intake of carbohydrates. The RDA for carbohydrate intake is 200 grams per day. A healthier carb balance for weight management may be closer to 120-130 grams per day. Choose healthier carbs and avoid the calorie rich, nutrient poor carbohydrate choices that sneak into the diet. Incorporate physical activity into each day. Avoid or reduce environmental chemicals of plastics, petrochemicals, bisphenols, Round-up/glyphosate, formaldehydes, and other environmental chemicals as much as possible. De-stress and unplug. Emotional and psychological stress causes as much or more inflammation, oxidative stress and detriment to your body than many dietary challenges. This ends up affecting blood sugar, insulin, cortisol, thyroid, heart health, cellular inflammation, and neurotransmitters distress. All of these things take work, planning, accountability and are not a quick fix. Healthy choices are repetitive habits that build into a lifestyle and are sustainable for the long term. Ask yourself - why should you have to go to the extremes of the ketogenic diet? What in your life has caused a need for this type of diet? The keto diet is not a health trend. It is a medical diet that is being explored for other diseases. The future is bent towards the personalization of medicine with diets, genetics and the gut microbiome with the hopes of trying to determine the best dietary choices and even cures. Technology and medical science is working on this, but the capacity for you to submit a blood, saliva, and stool samples into your local lab and then have a computer program tell you precisely what your diet should be is not there. Until then, stick to the tried and true. The body needs a balance of protein, fats, carbohydrates, minerals, vitamins, enzymes, antioxidants, and water. What is your health trend?